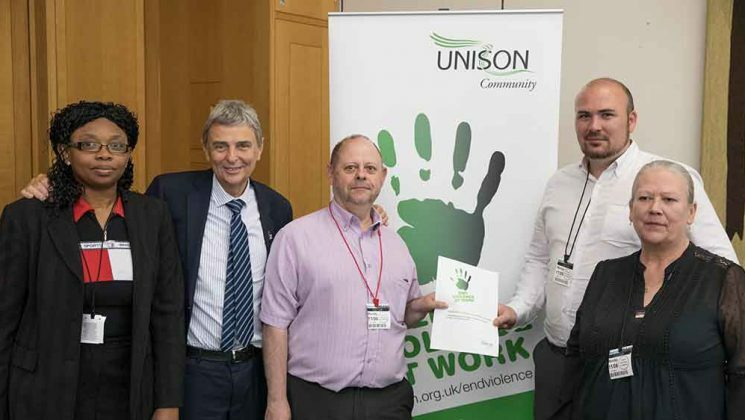 Community service group executive members at the parliamentary launch, with UNISON general secretary Dave Prentis. Left to right: Mitsy Harmon-Russell, Dave Prentis, Kevin Jackson, James Hawker and Lynn Gillespie. Pic: Ralph Hodgson. 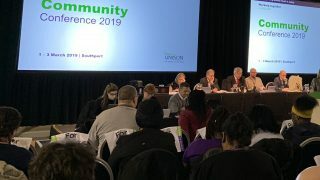 MPs took time out talking about Brexit yesterday to join employers and trade union members at the parliamentary launch of UNISON’s community sector Violence at Work Charter. Labour shadow civil society minister Steve Reed hosted the event, speaking of his concern that we need to talk about protecting staff from violence at work in 2018, saying it is dismaying that “the basic safety of workers appears to have fallen down the list of priorities of some employers in the third sector”. 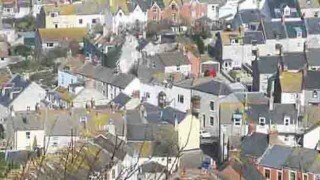 MPs were urged to ask charities and housing associations in their constituencies to sign up to the charter. UNISON member and safer neighbourhoods officer Lynn Gillespie spoke movingly about her own experience. A broken nose and cheekbone and severe bruising were the visible signs that she had been assaulted while doing her job. The impact on her family – her five and seven-year-old daughters – and the emotional scarring are more hidden, but are there none the less. Lynn Gillespie said that over the years, telephones, chairs and fists have all been used as weapons against her at work. She also spoke about how for many public service workers it is “an accepted fact” that there are occasions when people behave in a violent or aggressive manner. 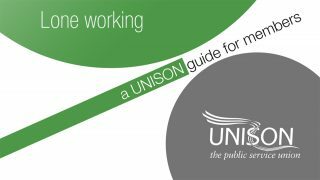 UNISON is willing to work with employers to improve standards, he said. But he also warned that the union would demand action from employers and Parliament to keep members safe at work. The charter is a list of 10 basic actions that third-sector employers can take immediately to improve safety at work, including appropriate training, support for the victims of violence and proper monitoring of incidents. These are “achievable, concrete steps that can make such a huge difference to those affected,” said Mr Prentis. Representatives of employers who have already signed the charter travelled from across the country to be at the launch and speak about how management took the threat of violence at work seriously in their organisations, working to reduce violent incidents in the workplace. 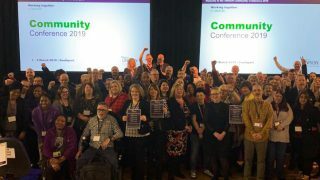 UNISON wants charity and housing association employers to sign up to the charter as a basic commitment to keeping staff safe. So far, 24 employers have already signed up. This is a major long-term campaign for the union’s community service group The next stage of the campaign will be working with members in local government to get compliance with the charter inserted into the procurement processes used when council’s commission third-sector organisations to provide services. Violence at work involves any incident in which an employee is abused, threatened or assaulted (either physically or verbally) in circumstances relating to their work. The nation faces a desperate housing crisis. We need to build at least 300,000 homes per year to meet housing demand but less than half the homes we need are being built.